It is one of those Holy Convergences. You know the ones? When God is trying to tell you something and He brings the same message from all these “random” directions? Yeah, one of those. It is freaky and delightful all at once. Let me break it down. First came the lunch meeting at Aubrey’s. I casually glanced out the window and time stopped for a moment as I watched this beautiful “pink snow storm.” Only it wasn’t snowflakes but seeds and petals caught up in the wind. I couldn’t take my eyes off this magical display. The wind, like the hand of God, just wrapped itself around this life-laden tree. It gathered up the pink promises, and in a gust, tossed the tree’s future into the air, carrying seed far from the original planting. Literally, it was like a river of pink seed carried through the current of air. Are you seeing this? the Spirit whispered. Yes, Lord. Yes. Then came Easter. God always brings a new revelation around what Father, Son and Spirit did for me. For you. 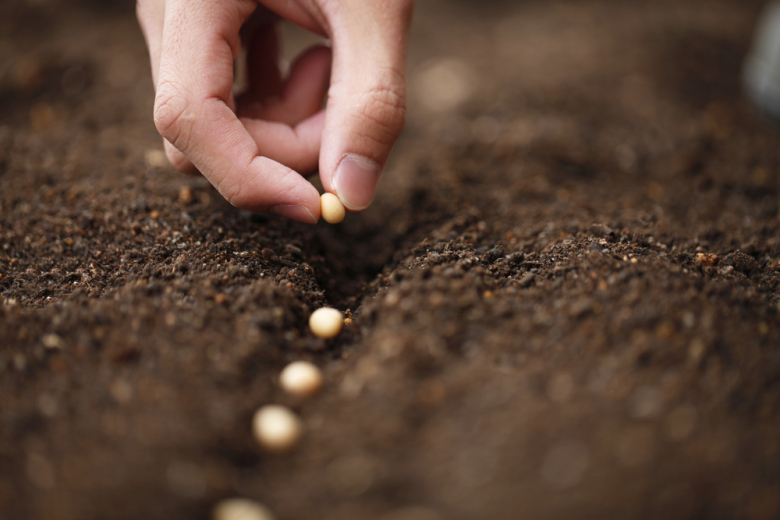 One revelation came as I was planting new flowers and seeds. I heard the phrase, “Jesus was planted in the earth.” A dead seed. But then God raised him to life and from his resurrected life came forth many seeds. That is me and you. Our very spiritual lives are a result of His power to bring new life from the dead. Funny. I couldn’t remember his name, but I did remember his message. Seed. Death. Many Seeds. I hear a common theme. We have to die to live. We have to die to produce seeds. Very risky. Very costly. But very, very worth it. The final touch? My friend Heather sends me this song. Oh my. What a holy exclamation point. Listen to it and let the Spirit speak to you about what needs to be dead in your life so that new life can come. He is so worth it.